Pay Online • IMAGEN: Promotional Marketing Agency for, Promo Products, Apparel, Print, Web Design, Branding, & More. 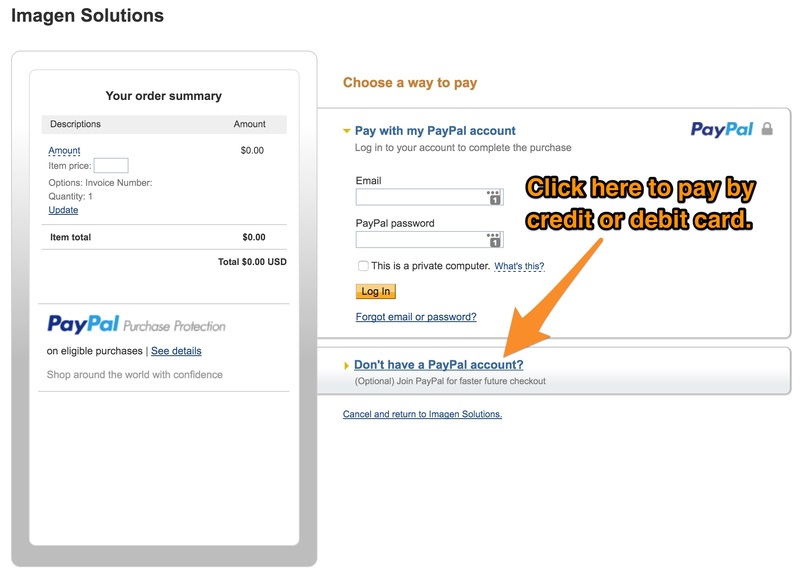 Note: You do not need a PayPal account to use this form. After you click “Pay Now”, click the “Don’t have a PayPal account” link.